"I am honoured to act as Armed Forces Champion, on behalf of Hull City Council. Our local authority is committed to the principles of the Armed Forces Covenant. We value our Armed Forces Community, and recognise the commitment and sacrifices made by our Armed Forces"
The Armed Forces Covenant is a promise from the Nation that those who serve in the Armed Forces, whether regular or Reserve, those who have served in the past, and their families, should face no disadvantage compared to other citizens in the provision of public and commercial services. If you would like to know more about what the Armed Forces Covenant means locally download Supporting our Armed Forces and Armed Forces Community leaflet. Servicemen and women leaving the armed forces often need advice on issues including health, education, housing, training and jobs. We also understand that their families and carers may need support. Our Armed Forces and Veterans’ Charter encourages public bodies and partner organisations to support in-service and ex-service personnel from the military and the Merchant Navy, their families, veterans and carers. Access to social and rented housing, retraining for employment, and support groups for servicemen and women suffering from post-traumatic stress disorder are just a few of the issues specific to veterans which the Charter addresses through better joined-up working between agencies. Who are our Armed Forces Community? What support am I entitled to? 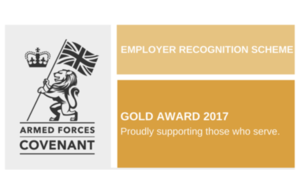 We are committed to supporting Hull’s armed forces community.as an MOD Employer Recognition Gold Award employer, with our Armed Forces Veteran Charter and through our Armed Forces Champion Councillor Allan Gardiner. As a member of Hull’s Armed Forces Community, you and your immediate family are entitled to the following support through the Armed Forces Covenant. • Not being at a disadvantage when trying to access public services such as healthcare, housing, employment, education and welfare. • Special consideration where appropriate in some cases, especially for those who have given the most such as the injured and the bereaved. Click below for details of local groups and support. The service provides a first point of contact for people aged 18 and over and is available to anyone who has completed one day’s service or more with the British Military, is a Reservist not currently deployed or is a family member of military personnel. dedicated Support Worker is available at Citizens Advice (CAB) to provide serving personnel, veterans and their families with free, quality, independent and confidential welfare and legal advice. You can apply for council housing before you have been discharged from the Armed Forces as long as you know what your discharge date will be. The club offers help and support with job searching, careers advice and has strong links with other service providers within Hull offering help and support with welfare, education, training and self employment. Safe and anonymous peer support community that is accessible anytime anywhere. It is FREE for UK serving personnel, veterans and their families. UK’s leading charity for Veterans’ mental health. The Officers’ Association is committed to ensuring that former-officers and their dependents live with dignity and independence. Offers a Hidden Wounds service which provides free and confidential support to Ex-Service Personnel, their families and the families of those still serving, who are living with anxiety, depression, stress, anger or who wish to change their drinking habits. Is a 12-month structured support programme with an initial three/five-day residential motivation and training programme for veterans and veteran’s families. Dedicated to assisting serving and ex-Service men and woman who have suffered life-changing limb loss or the use of a limb, an eye or loss of sight. A national disability charity that supports people with complex communication needs to be understood, connected and valued. Civilian housing options, information for service personnel and their dependents. The Legion can support you to get funding and grants to adapt your home and receive new equipment here. If you need help getting around then the Legion may be able to provide an electrically powered mobility vehicle, scooter, or buggy visit this page. Uses books to bring Service children and families closer together. The shared reading initiative encourages families to read, talk, and scrapbook about a book, improving communication and enriching relationships with books and each other - one page at a time. Important: When the helpline is closed or busy, messages can be left on the answering machine or sent via email. The Legion supports Service leavers to find employment and can also provide advice and guidance to partners and dependants of serving personnel. Provides life-long, life-changing support, jobs and training opportunities to service leavers and veterans. Successfully deliver resettlement training and work experience for forces leavers with little or no experience in industry or network engineering. The UK’s leading disability specialist, transforming lives, through sustainable employment. Offers a consultative and informed recruitment service dedicated to those who have served in the Armed Forces. Exists to help military spouses find a job or start a business that works for them. Offers support and advice to current and former personnel that are interested in starting their own businesses. Quest is a resettlement guide that will give you advice and help you into your new career and training. The official Ministry of Defence discount service for the Armed Forces, Veterans and the Armed Forces Community. It provides discounts both online and on the high street. The Legion provides a range of services to support you through transitions, change, new information or just needing a break. Offers help to those currently serving and veterans. The Welfare Team provide accessible support services that strengthen and enhance the resilience and resourcefulness of Naval Service personnel, their families and communities. Are committed to enhancing the quality of life for veterans and beneficiaries of Veterans UK pensions and compensation schemes and all their dependents. "The first point of contact for veterans seeking support"